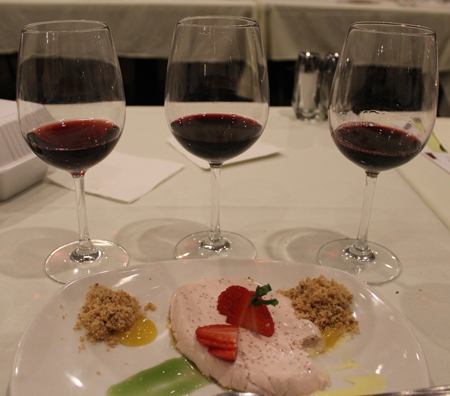 Dessert and wines to compare at the White Oak wine dinner at McCarthy’s. 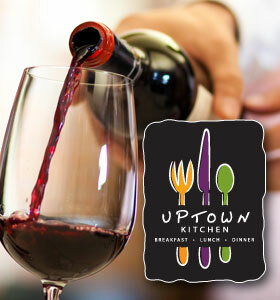 In the summer of 2014 Jonathan Lutz, owner of the Uptown Dining Group (Uptown Kitchen and The Mark Dine & Tap restaurants) and I were discussing the benefits of wine events and ways to increase attendance at them and, of course, sell more wine. After several discussions and an equal number of bottles of wine, we came up with a unique wine club concept. 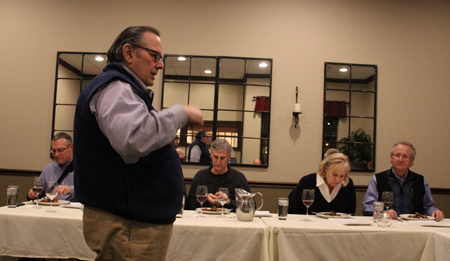 The wine club, named the Tiedemann On Wines Wine Club, partners with local restaurants and there are currently three: The Mark Dine & Tap, Uptown Kitchen and McCarthy’s on the RiverWalk. There are also several other restaurants in discussion to join the club. Wines served at the White Oak wine dinner at McCarthy’s. The goal of the club is to provide its members, and other patrons of the restaurants, the opportunity to share some exceptional wines at very favorable (preferred member) prices. One of the methods of making these wines available is by hosting creative and memorable wine club events, such as wine dinners and tastings, which become an all important part of club membership. Currently we have two to three events per month. 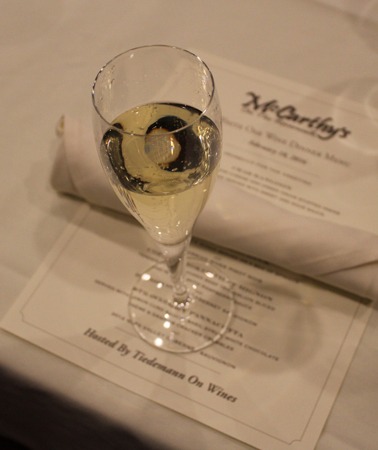 In last week’s wine blog I reported on Uptown Kitchen’s 8th Annual Valentine’s Day Wine Dinner and later in this post I’ll report on the McCarthy’s White Oak Wine Dinner. Both of these dinners were wine club events. Finally, through these types of events we hope to educate you and your palate on various types of wines and introduce you to the lifestyle that surrounds the wonderful world of wine. 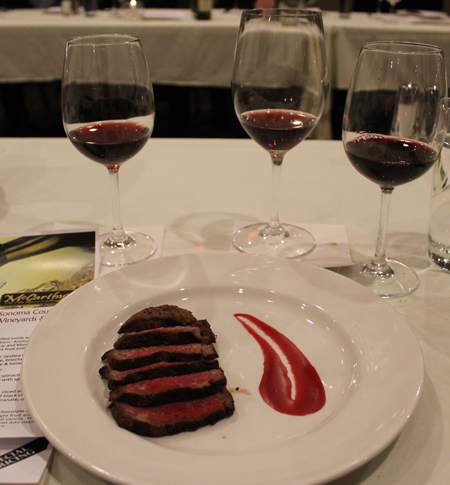 You’ll get to taste both Old World and New World wines and experience the many flavor profiles available. The best way to learn about wine is to taste it. 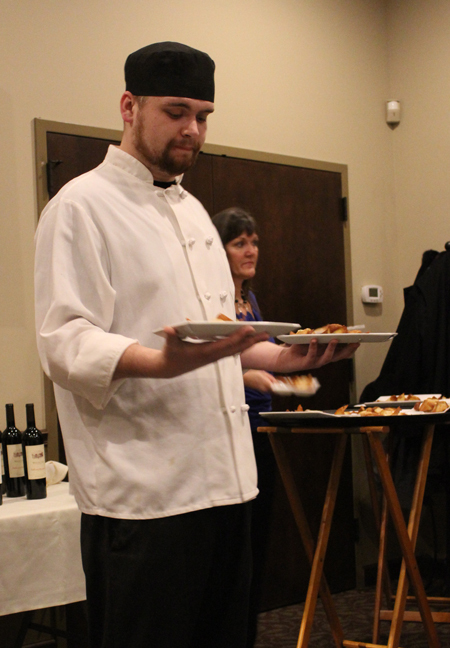 Chef Matt Hiland at McCarthy’s helps serve at the White Oak dinner. You can join our wine club by filling out the wine club application available at any wine club partner’s establishment…just ask your server about the club. Or you can join online through the Tiedemann On Wines website page by clicking here. There is a “one time” $10.00 fee to join. If you join at one of the partner restaurants this fee goes directly to your server who assisted you. If you join online, the fee goes to the Adler Bear Carris Benefit fund. A 10% discount on regular bottles of wine on our participating partners wine lists – just present your membership card to your server and tell her/him you are a wine club member. 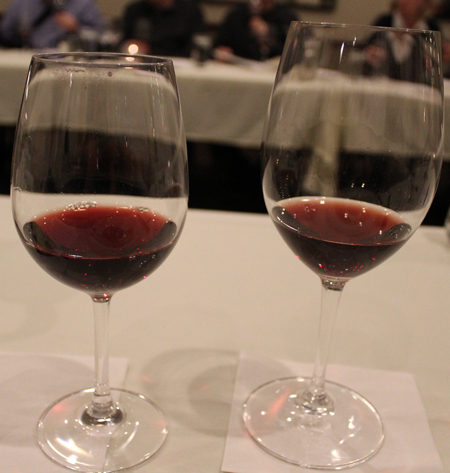 A subscription to my weekly wine blog Tiedemann On Wines. The blog is posted every Thursday around mid-day. 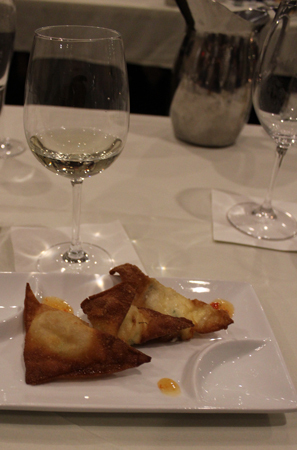 Invitations to exclusive wine tasting dinners and events at all participating restaurants. First access and reduced pricing to wine club dinners and on wines offered for sale at the dinners. 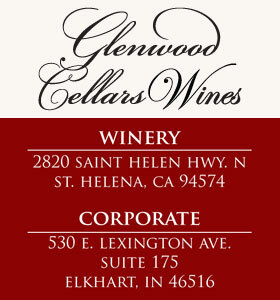 Periodic email updates on other wine events and restaurant news in our area and throughout the Midwest. We have some exciting events planned in the months ahead. Why not connect with the more than 160 current wine club members, take advantage of the many membership benefits and join today? 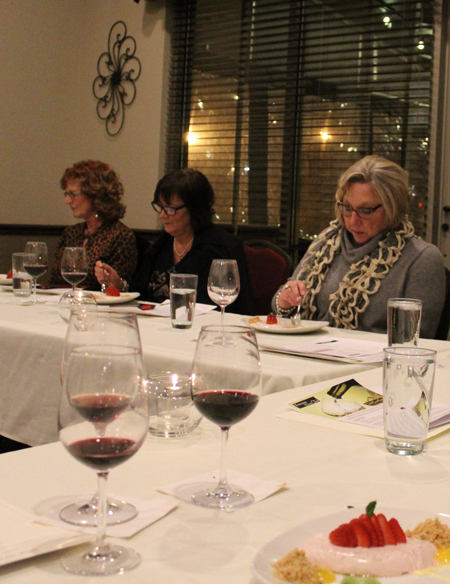 “Our wine club is a fun and excellent way for someone to learn about wine, while gaining some great benefits and discounts at some nice locally-owned restaurants. The wines in the Tiedemann portfolio offer a vast selection of varietals from all over the world and we continue to add to our restaurant’s offerings of Carl’s wines. 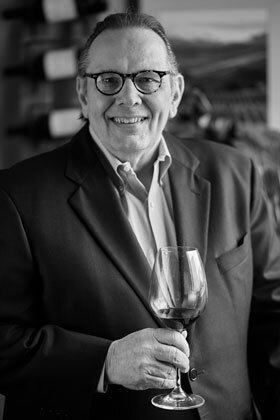 Between Uptown Kitchen and The Mark, we currently carry about a dozen of Tiedemann’s wines, of which all are discounted 20% for wine club members,” said Jonathan Lutz, Proprietor & Chief People Person at the Uptown Dining Group. 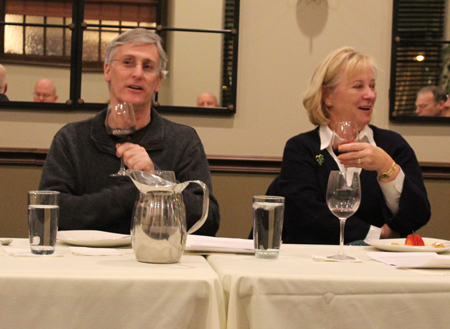 Last Thursday evening the Tiedemann on Wines Wine Club held its third wine event of the year at McCarthy’s on the RiverWalk in Elkhart. 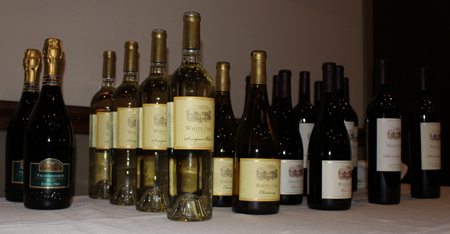 The premium wines of the event were from White Oak Vineyards & Winery in Healdsburg, California. For more information on White Oak wines click here. We tasted two whites and three reds, starting with a 2013 Russian River Sauvignon Blanc and working our way up the flavor profile to White Oak’s 2012 Napa Valley Cabernet. 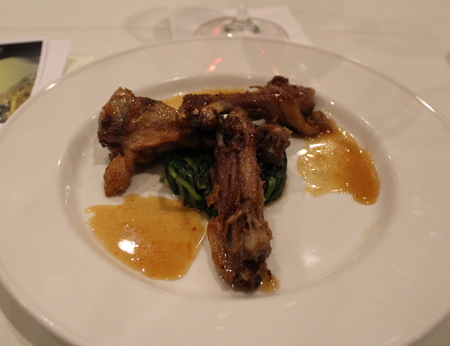 These are some of the photos from the wine dinner courtesy of Tish Wilsey. Prosecco started the meal at McCarthy’s. As always I appreciate your support of our wine blog and encourage you to share it with family and friends. If you care to share your comments on this blog posting or other topics, please do so in the comments section below. This was a very enjoyable event!!! The group was very engaged and I loved being there with you. Hello Jeanne. Yes, it was great fun and I think our guests had a wonderful time as well. Thanks for your continued support.